French Star paul Pogba has returned to United Carringhton HQ training ground after given an extended break for the World Cup campaign. The 25-year-old was pictured alongside Eric Baily in a picture posted on the Ivorian defender’s Instagram account. 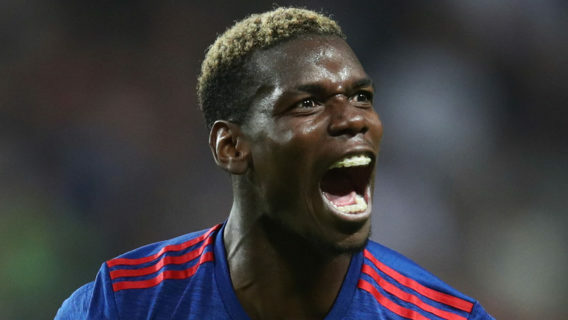 Pogba was impressive in Russia displaying the talent, many believe he has with assured displays in the midfield alongside Chelsea star N’Golo Kante. His performances delighted club coach Mourinho who challenged the player in a recent interview to bring his best for United this season. Last season was a mixed season for the French man as he faded off despite an impressive start to the season. This led to a public fallout with Mourinho and led to speculations about his future with many reports claiming the midfielder was weighing his options. Also recently the Metro claimed that Pogba’s agent Mino Raiola is currently in Manchester to negotiate a transfer for the player. According to this report, Barcelona and Juventus are reportedly keen to sign the midfield dynamo this summer. It is difficult to see Pogba leaving Old Trafford this season as he has always admitted his desire to succeed at United. Pogba holds the British record for transfer having moved from Juventus for a fee of £89 million in the summer of 2016.